This thread seems to have fallen out of favor (or maybe he just hasn't been producing content recently?). Anyway, 2018 Roubaix it is! I particularly like how he points out some of Sagan's craftier bike handling that most viewers would have certainly missed. There seem to be some geo-restricted issues with this one, so I'll post two separate links. he had issues with gaining approval to use videos - so didnt do any for ages. Yeah I'm really glad Eurosport snapped him up, great race analyst. I don't find these as entertaining as I used to, but maybe it's just me. Anyway, here's some rest day entertainment. No frills, pretty much just the facts of the matter. 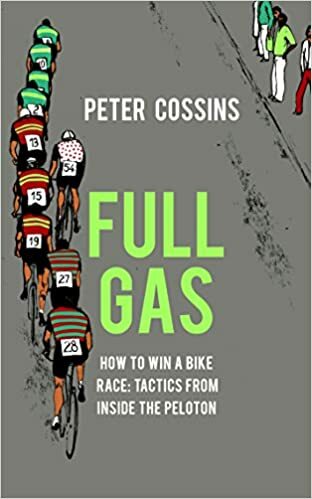 I didnt realise he was still doing them now he is on Velonews Pod. Apparently the original title was something different. But it looks as though they changed the name for the "North American" version of the book. Dropping this one in after-the-fact. I put this in the race thread but it should go here as well for posterity. One of his better ones, for sure. Interesting analysis of the final 2K.